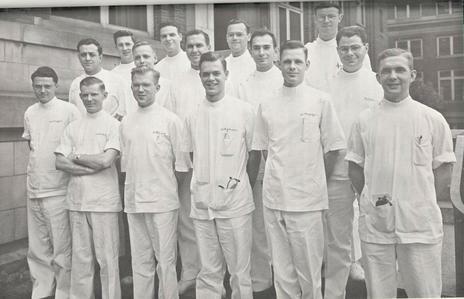 In September of 1947, shortly after his 23rd birthday, Russell M. Nelson posed for a photo with 13 other young men on the surgical intern staff at the University of Minnesota Hospitals. On Tuesday, June 10, 2014, he returned to that university to receive the medical school’s Surgical Alumnus of the Year Award. 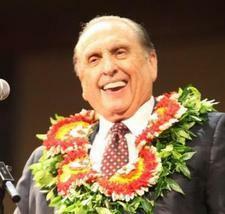 He received bachelor’s and medical degrees from the University of Utah in 1945 and 1947, and served his residency in surgery at Massachusetts General Hospital in Boston and at the University of Minnesota, in Minneapolis, where he received his Ph.D. in 1954.